As long as you're not using it in an attempt to scam or trick someone, we suppose that there is nothing wrong with it, as long as you are obeying the side account rules and not creating more than five total accounts. Sorry, this isn't possible at the moment, but we are always trying to advance the options for layering to make it more fun, so keep playing and it should only get better as we continue to add more options. We will look into the possibility of this, but we are not sure if it is something we can do at the moment. All Neocash expires one year after receipt, whether it was purchased (using PayPal / through a Neocash Card) or received free of charge as part of a site event (Halloween, Springtime Celebration, etc.) or activity (Expellibox, Daily Dare, etc.). Neocash is used in the order that it is received, oldest to newest. Only Neocash that has been in your account for one year will expire, and it does not trigger Neocash that isn't a year old yet to expire. We have nothing against poor Wobbles. Please remember, though, that we often judge the PPL several hours before the news goes live. The ages you see those Petpets as are the age that they were when we ran the script that finds the oldest Petpets of that type. 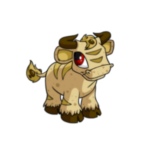 So, when you see the news and notice that your Petpet is currently older than the ones on the PPL page, keep that in mind. Your Petpet has kept aging, but the ages on the PPL page are frozen in time. Also, for Advent Calendar Petpets, it's very difficult to win the PPL unless you were up right at the stroke of midnight and equipped your Petpet nearly instantly. Ohhh, does it have peaches in it? *drools* We'll forward your kudos to our support staff; We're sure they'll love the warm fuzzy. For those of you who are over the age of 18 and interested in working for us, check out the employment page. Yeeeeah... we think the players trading for glitched Neopets might have stumbled into a game of Staff Basher and gotten knocked over the head a few too many times, but hey... it's their choice. Just realise, guys, that these glitches could be fixed at any moment, so don't come QQing to us if you traded your Draik for a green Quiggle! We checked out your siggy and it seems to be somewhat related to suicide, so that's definitely a bad signature. Anything hinting at / discussing / shedding a positive light on your own death is really not welcome here. If you need to talk to someone about such things, please discuss them with an adult you trust. This is true, and we will be adding a message to the page soon. Please make sure you use your Neopets accounts that you already have if you don't need / want another account. NO. Do not try it, do not make a side account to try it. Report it, and report anyone you see saying it works. There is NO WAY to get free Neopoints or items by mailing people, going to offsite links, etc. All those accounts that you see saying, "It worked for me!" are accounts that were scammed and are now being used by the scammer to perpetuate that scam. Report any and all accounts that support a scam. Also, do not try to "catch" the cheater for us by going offsite or contacting them. We're trained to deal with stuff like this, and we don't want you guys putting your computers at risk hunting down scammers. Please just report them to us. Egads, what a disaster! 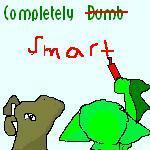 It seems both of you were simply careless: not using the transfer option instead of The Pound and not thinking ahead to the cost of the Neopet. 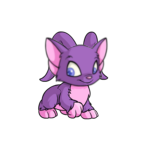 The person that received the Neopet in The Pound is under no obligation to return the Neopet or Petpet unless they want to. Unless there was foul play going on, it seems like it was an accident and that no one is really to blame, though it's sad that the lender is out a Meowclops. :( Both of you, please be more careful in the future. Oh goodness, we know what you mean! We see this on the boards all the time. "Why did they make a new Flash game while we're still waiting for plot prizes?" or "Why are they still drawing new items when they need to release old ones?" or really amazing ones like "Why are they writing Neopedias when the slot games still need to be fixed?" Nope! Our Wishing Well is a bit behind the times. But, then again, stone wells never were really all that advanced, even magical ones. The Delicate Enamel Negg that Rosie gave away yesterday when you visited a secret location on Mystery Island went directly to your storage shed, rather than your inventory. If the pop-up said that you received it, but it didn't appear in your inventory, check your shed! I hope you didn't *shed* any tears about missing me!